Luckily, I haven’t been sick yet this winter, but I know that one cold remedy that always helps get me through is a good, strong Hot Toddy. This concoction always seems to help me sleep as well as soothe my throat, two things I usually really need and are hard to come when fighting a cold, along with my heating pad. 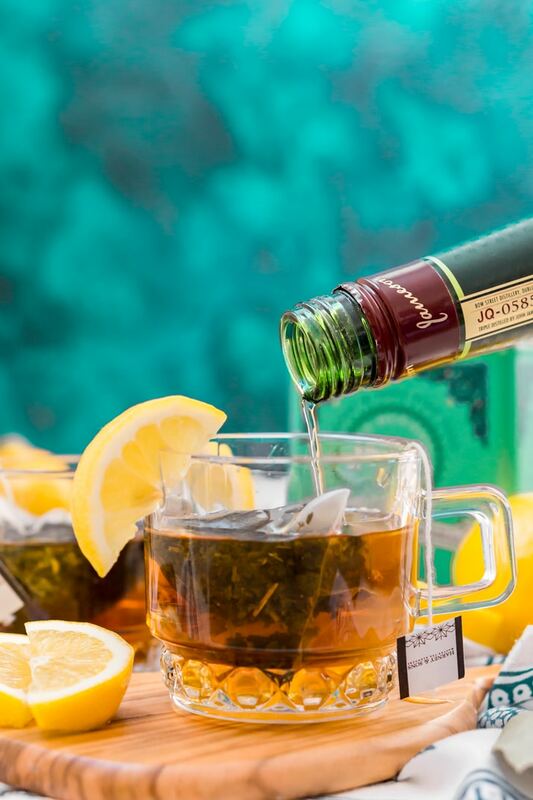 And while there likely isn’t a wrong way to make a toddy, there is definitely a GOOD way! It is an alcoholic hot drink used to aid sleep and soothe sore throats. Usually, the drink is made with hot water, liquor, lemon, honey, and spice. It’s great to fight off cold and flu or enjoy on a cold winter night. 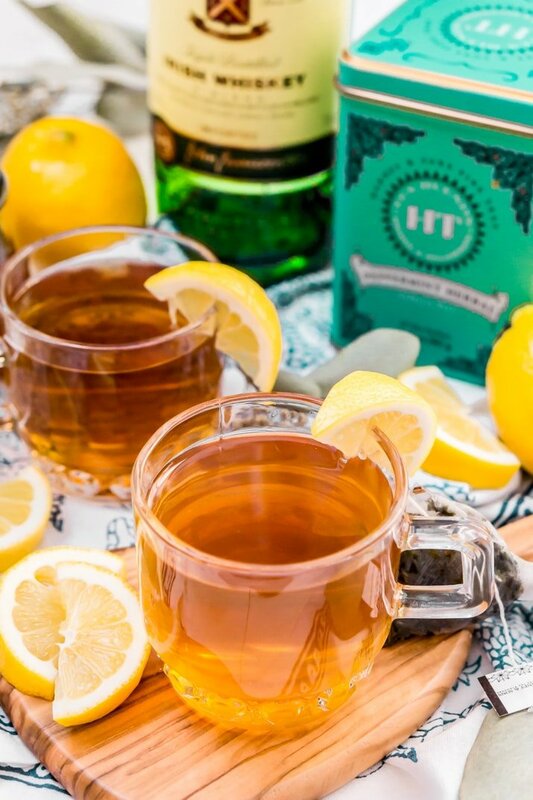 Where Did the Hot Toddy Originate? Scotland. Originally the drink was made with Scotch Whisky, although you can pretty much add whatever liquor you like. Rum and brandy were popular here in the States during colonial times when the concept made it across the pond but distilling whisky was illegal without a license. Okay, so like I said, there are a million ways to make one, there are just so many ingredients and so many ratios to choose from! So here are the basic ingredients and all you need is a mug and boiling water once you have these things and you’ll be ready when cold symptoms hit! 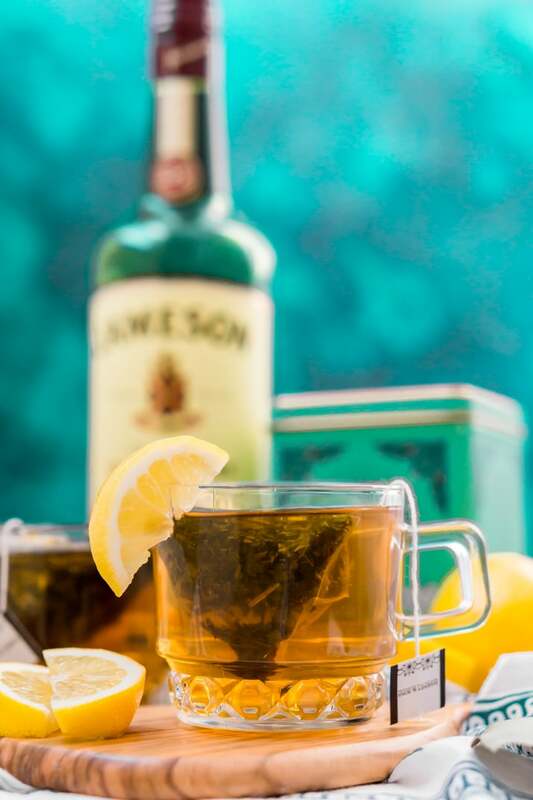 What Ingredients Are In A Hot Toddy? Tea – Yes, tea! Traditionally, this drink is made with just hot water. But why let that water go to waste when you can add tea to it! If rest is your goal, I’d use an herbal tea or white tea like chamomile or jasmine. However, If you just want to lay on the couch and watch Netflix all afternoon, my favorite flavors are this Peaches and Ginger tea and this African Autumn tea. Liquor – You can choose whichever liquor, some of the more popular options include whiskey, brandy, white rum, scotch, and gin. I personally prefer either Bourbon or Irish Whiskey. 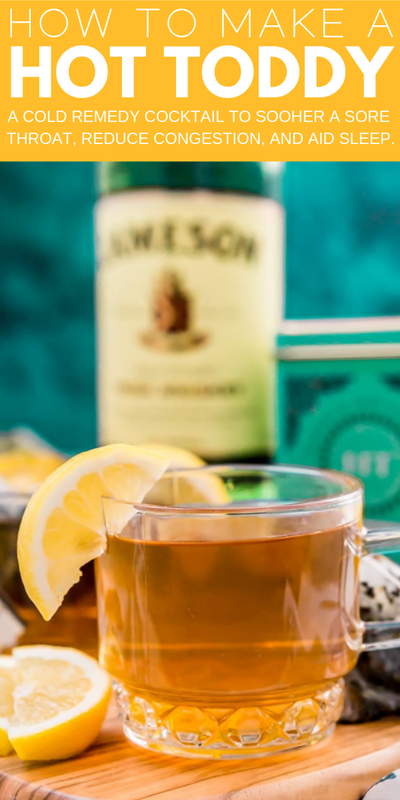 Studies have shown that whiskey can aid sleep, however, don’t turn hot toddies into regular nightcaps because your body will build up a tolerance and they won’t be as effective. I only drink them when I’m sick, and it’s VERY important that you don’t mix hot toddies with cold medicine. Honey – A long time natural cough suppressant, your throat will thank you for this thick amber sweetener! It’s best to use local honey, one from the same county you live in, but in a pinch, good store-bought honey will do. 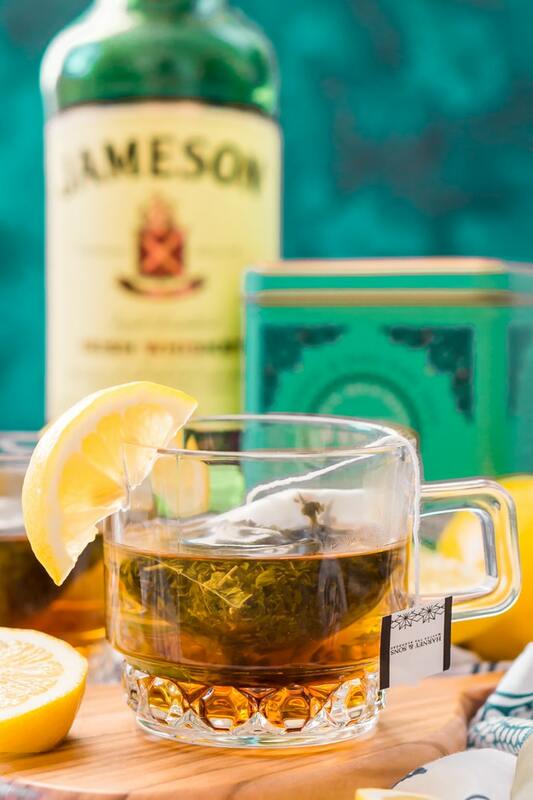 Lemon – This vibrant citrus is a key component of a cold-busting toddy no matter how you mix the other ingredients. It’s important that you use fresh lemon juice and not the bottle stuff. The lemon juice added to hot water or tea helps to reduce congestion. Spice – Now, this is truly up to you, for me, I use tea, while those who use just straight up hot water may decide to add a cinnamon stick or whole cloves to their toddies for additional spice. Vinegar – Now, I personally like the taste of my hot toddies, but some people like them to really pack that cold killing punch and they add Raw Apple Cider Vinegar to them, about 1 to 2 tablespoons should be plenty if you decide to try it out. 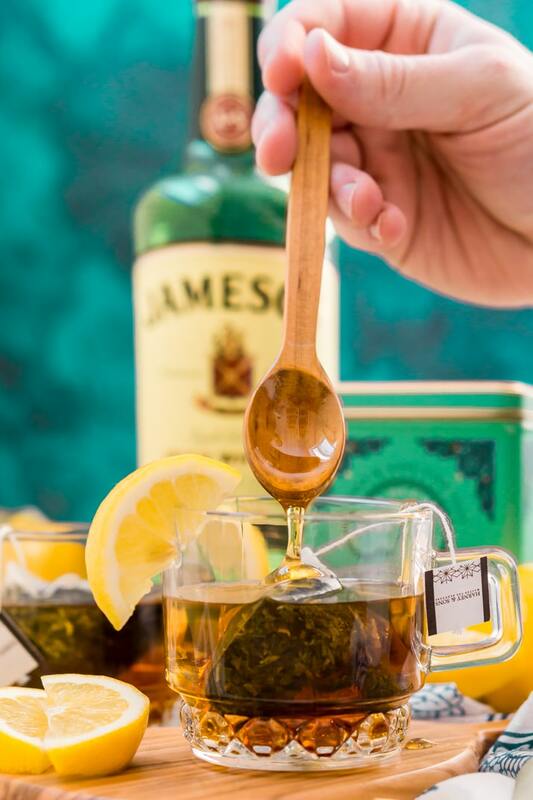 What’s Your Favorite Way To Make A Hot Toddy? So there you have it, tons of options and ways to customize this drink to fit your style and taste. Just use the recipe below for measurements and instructions and you’ll be sipping this homemade cold remedy in no time! Do you have a favorite way to make hot toddies, maybe something I didn’t mention that I should try? Tell me in the comments! 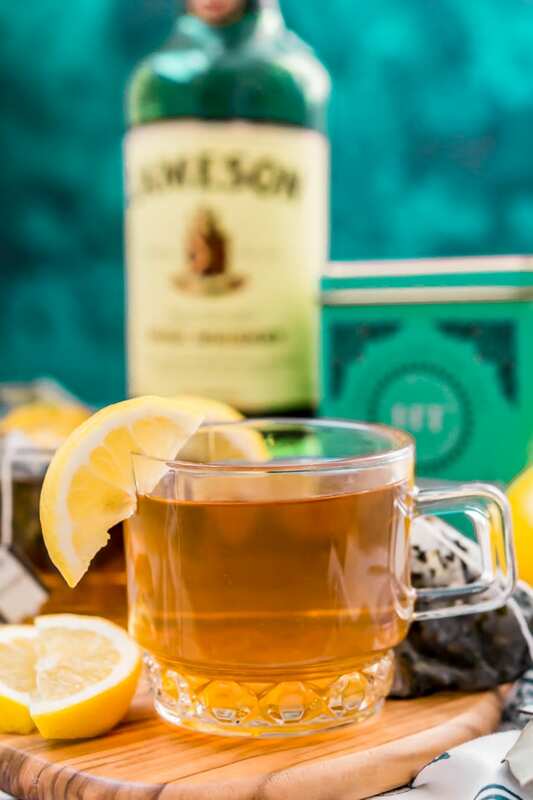 The hot toddy is a classic recipe and it’s changed over the years as it’s come down through generations and families. But one thing remains, they make you feel better, and people love them. And a gift basket with all the ingredients to make them is a great get well gift for a friend, just make sure to include a fun mug! In a mug, add the hot water and tea bag. Steep the tea based on the recommended time on the package. Remove the tea bag (if you'd like) and add in the honey, give it a quick stir to help it dissolve. Top off with the liquor and lemon juice, stir to combine and finish with a fresh slice of lemon. I hope she feels better soon, Albert, you’re so sweet for making it for her! Thanks for the recipe and history! My grandfather always drank hot toddies before going to bed when he had a cold. I have a humdinger of a cold but I couldn’t remember how he made his. Your recipe sounds like the ticket to a good nights’ rest🤞🏻. Looking forward to trying it tonight! Thanks again! I hope it makes you feel better, Lynn! Enjoy! Tea! That is a brilliant idea. I will try it. Always used just water. Thank you for the great recipe! I mean, why not, right? It seems like a natural addition! Enjoy! Delicious and perfect for a sore throat! Just made this with Maker’s, tea, honey, and lemon and it’s delicious! Hoping this turns the raspy voice I have right now into the lady like voice it was before yesterday. I love Maker’s, such a great choice! I’m so glad you enjoyed it and I hope you feel better and this helps! Looks like a good recipe to me. 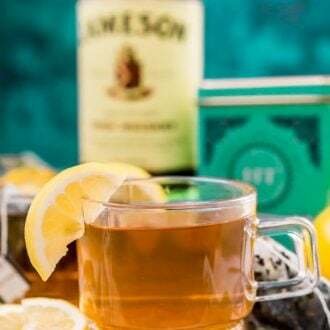 My family, with Smoky Mountain location and Scotch-Irish heritage, has always used a Hot Toddy to treat upper respiratory discomforts and lady cramps. It does work, even if not scientifically proven. Thanks for the reminder not to mix with cold drugs also. Oooh, I never thought to try it for that “time of the month”, such a great suggestion! I swear Hot Toddies can make even the grumpiest of sickies better! First one I ever had knocked my socks off (thanks to my ex-MIL’s Lithuanian whisky) and I’ve since used it whenever the throat acts up. Cold season is upon us folks… try it when needed, you’ll love it!